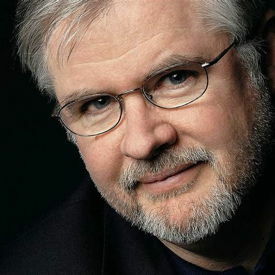 Christopher Durang is a Tony Award-winning American playwright. He is known for his absurd and outrageous parodies. Durang was born and raised in New Jersey, and attended Catholic schools through his adolescence--his Catholic upbringing and views on the Roman Catholic Church are often prevalent in his plays. He received his B.A. in English from Harvard University and his M.F.A. in playwriting from the Yale School of Drama. Durang quickly became one of the most successful playwrights of the 1980s, and has sustained popularity in the decades since. His work often verges on parody, dealing critically with issues of child abuse, Roman Catholicism, homosexuality, mental health, and culture. His plays have been performed Broadway, off-Broadway, regionally, and internationally. His wide body of work includes such popular plays as: Sister Mary Ignatius Explains It All For You (Obie Award winner); Beyond Therapy; Baby With the Bathwater; A History of the American Film (Tony Award nominee for Best Book of a Musical); The Marriage of Bette and Boo (Obie Award); Laughing Wild; Betty's Summer Vacation (Obie Award); Miss Witherspoon (Pulitzer Prize finalist); and Vanya and Sonia and Masha and Spike (Tony Award for Best Play). Durang is a member of the American Theater Hall of Fame and the Dramatists Guild Council. He has received many fellowships and grants, including a Guggenheim, a Rockefeller, and the CBS Playwriting Fellowship. He was awarded the first Luminary Award from the New York Innovative Theatre Awards for his work Off-Off-Broadway in 2010, and received the PEN/Laura Pels International Foundation for Theatre Award in 2012.